5àsec opened its first shops in 1968, based on a genuinely innovative concept: to provide dry cleaning and laundry services, with not only a good quality/price ratio, in order to be affordable and accessible to everyone, but also transparent prices and quick delivery. Since then, 5àsec has experienced a rapid and successful development, as a result of a commercial offer tailored to evolving customer expectations. Operating today in 31 countries around the world, the group started its expansion in France, by opening stores all across the country, before successfully breaking into international markets, either directly or through master franchising. 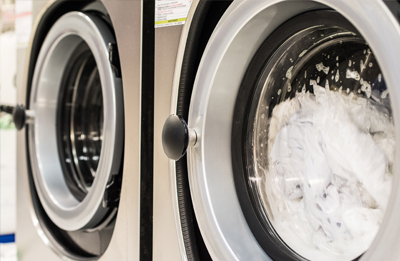 In each and every one of our shops, we commit ourselves to provide you with a high-quality cleaning and ironing service at an affordable price and within a short delay. We want to make your life easier thanks to innovative offers, quality services and the handling of your household textiles. 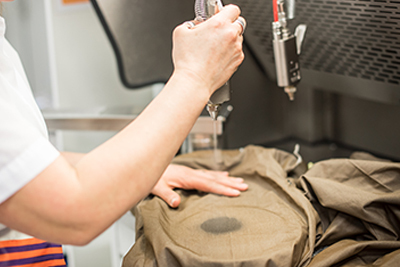 We offer the very best in dry cleaning all across our 1,730 shops, thanks to our team of qualified experts and our ongoing innovation efforts to offer the best customer experience. 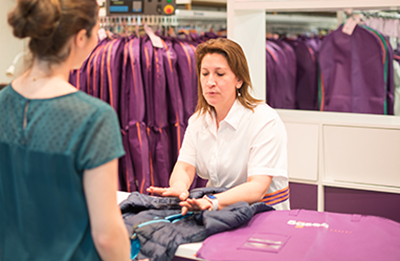 Manage the care of your professional textiles with peace of mind thanks to our 5àsec Solutions dedicated to businesses. Upon reception of your garments or household linen, we thoroughly inspect the nature of stains and assess any potential alteration that need to be done. Based on such inspection, we advise you on the appropriate treatments. Whereas cleaning has a global action on the whole garment, the use of removers enables the action to be localized. 5àsec has selected a range of products, specifically suited to the numerous types of stains, the colour, as well as the nature of the fabric being treated. We use different cleaning techniques - aqua-cleaning, washing or dry-cleaning - according to the nature of the textile and its potential adornments. We put particular emphasis on returning items properly ironed without damaging the fibres nor the fabric. Our techniques are continuously improved, not only in terms of the ironing quality of your items but also in terms of the ergonomic working conditions of our teams. After ironing, we check the quality of washing or cleaning, as well as the quality of ironing, according to the highest standards. As a matter of fact, we invite you to check the quality of the service provided when your items are delivered back to you.